AMD has released its third and cheapest Ryzen Threadripper CPU. For those who can’t or won’t pay $1000 for the 16-core/32-thread 1950X flagship model, the 1900X offers 8 cores and 16 threads for almost half the price – around $549. 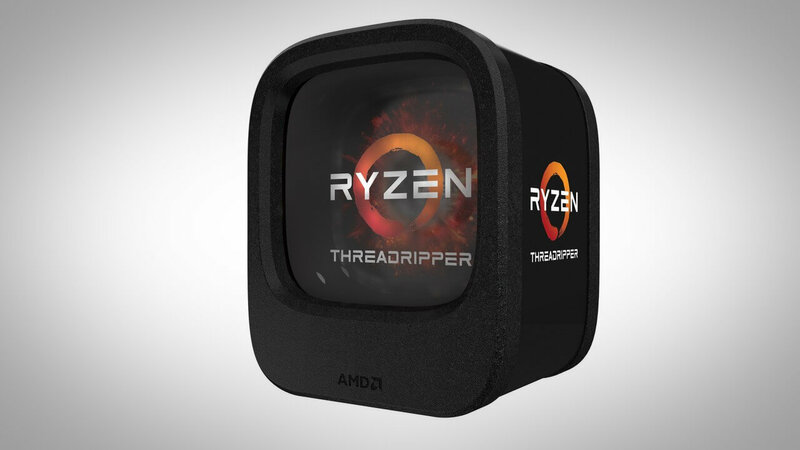 The newest release is also quite a bit cheaper than the other Threadripper CPU - the 12-core/24-thread 1920X, which costs around $800. As we reported back in July, Threadripper 1900X is essentially a Ryzen 7 CPU for the X399 platform that comes with a few upgrades. It operates at a base clock speed of 3.8 GHz, which is slightly faster than a Ryzen 7 1800X, and features a 4 GHz boost speed along with a XFR boost to 4.2GHz. The Ryzen 7 1800X chip, which also boasts 8 cores and 16 theads, sells for around $50 cheaper than the Threadripper 1900X and offers similar gaming performance, but AMD claims that Threadripper allows for better overclocking compared to Ryzen 7. Another advantage of the 1900X is that, like the rest of the Threadripper lineup, it comes with quad channel memory support (Ryzen 7 has two channels) and 64 PCIe lanes. And when AMD updates its X399 chipset later this month, it will add support for booting from NVMe drives configured in RAID. Compared to Intel’s similar offering - the Core i7-7820X – AMD’s 1900X chip has the same number of cores and threads and the same quad-channel memory support. Threadripper does, however, feature 5 percent more cache, more than double the PCIe lanes, and is slightly cheaper.